Logo designing isn’t as easy as it might seem. Good logo designs are simple and memorable. They also should be versatile – easy to print on large signs as well as promotional products such as pens and mugs. Accent Printing has a design department that’s skilled in creating attractive and unique logos. Never underestimate the value of flyers. 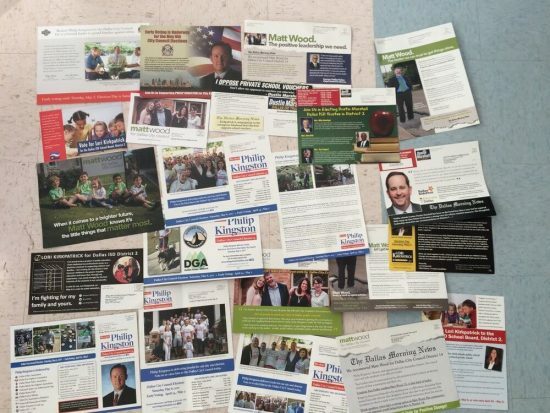 They’re a great way to highlight your main issues all on one piece of paper that people can hold onto and read before choosing their candidate. Flyers and EDDM (Every Door Direct Mail) can reach thousands of people. We can help with designing, printing AND mailing. Your party volunteers and followers can walk around towns wearing the tee-shirts with your well designed campaign logo. You can also incorporate a short slogan that carries your political message. Tee-shirts are basically walking advertisements! And… Lawn Signs. Of Course! It would almost be unpatriotic to not have lawn signs. We carry a variety to choose from and even will supply the galvanized stakes. 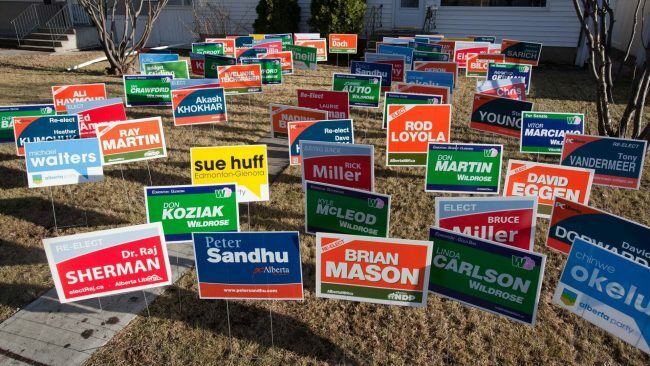 Lawn signs are great for increasing awareness of any political campaign. 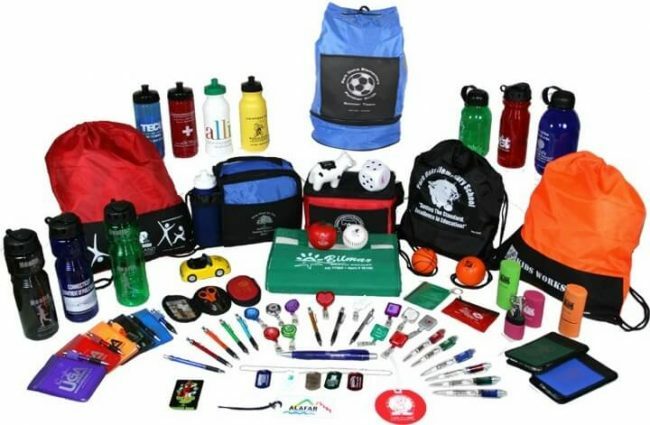 Previously: Finding the Perfect Promo Item for Your Business!